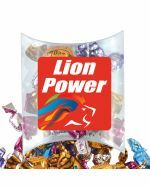 We put your message on promotional chocolates. Chocolates are among our most popular option when it comes to delicious treats for a marketing event. Not only are chocolates a tasty confectionery option, but we are also able to customise them in unique ways to suit your promotional requirements. Chocolates are popular amongst people of all walks of life -- men and women, young and old, customers, clients or suppliers, who doesn't like a nice piece of chocolate now and then? 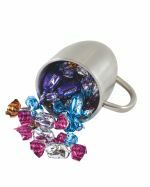 Tasty and memorable, our promotional chocolates will be a hit at your next event. Use them at your next conference, open day or trade show - just ensure you don't leave them in direct sunlight as they will melt. We're in Australia after all! 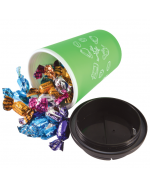 If the temperature is an issue at your event or in your workplace, we suggest custom printed Smarties as the candy outer keeps the chocolate from melting. If it's too hot even for that, perhaps our jelly beans will make a suitable replacement. 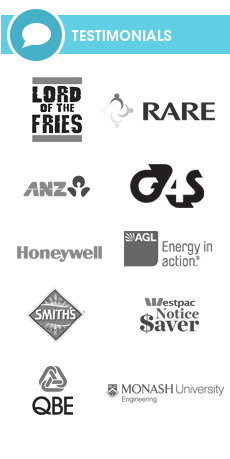 Wherever you are in Australia, we will deliver your branded chocolates right to your door. And with our fast 2-week standard turnaround, your chockies will be ready in plenty of time for your next big giveaway. Call us now for a quote. 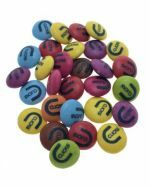 Authentic Nestle Smarties branded with your logo!